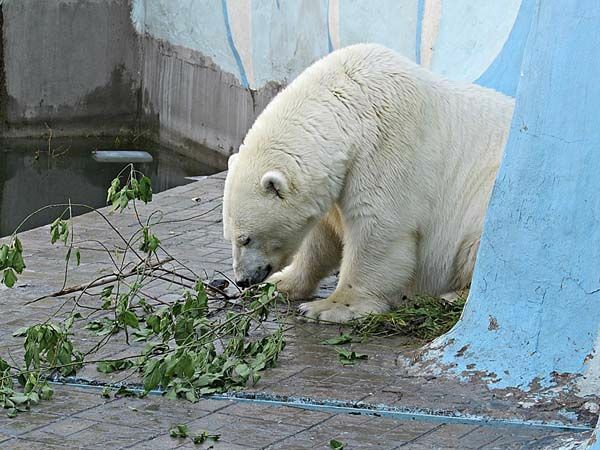 One morning when Gerda came out she found some tree branches the keepers had brought her. Of course, the green stuff had to be examined very thoroughly. What is this stuff? It smells good but I don’t think it’s eatable …. Can I have some privacy, please! 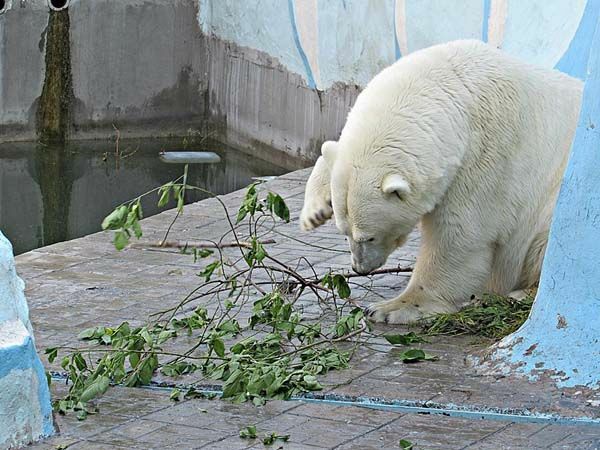 Oh bear, maybe I could plant a tree somewhere in our enclosure …. … but there’s no soil suitable for a tree …. I must let my grey cells do some brain storming …. … and a nap is the best way for finding good solutions! When I wake up I’m sure I’ll know what to do! Please, don’t disturb! Kai was asking Gerda for a swimming tour. Oh, that woman and her garden plans! Kai got tired of waiting and jumped into the pool alone. Wow! 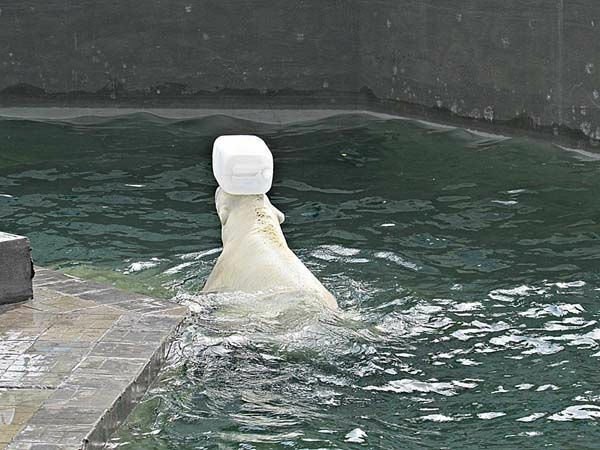 How elegantly he balances the barrel on his head! Thank you for the applause! Rostik is day dreaming. 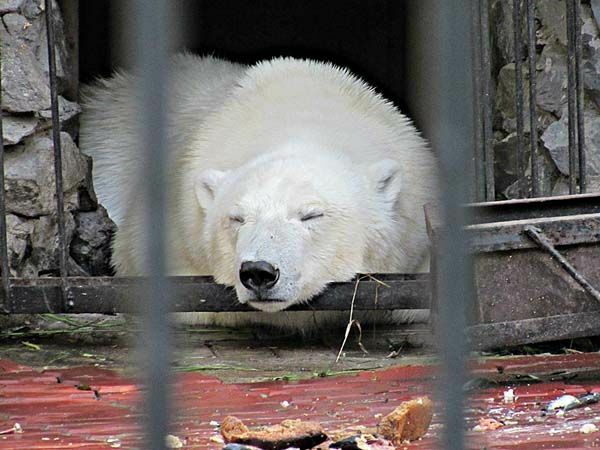 Maybe he’s dreaming of a new home and a nice polar bear girl. He’s such a darling isn’t he?! 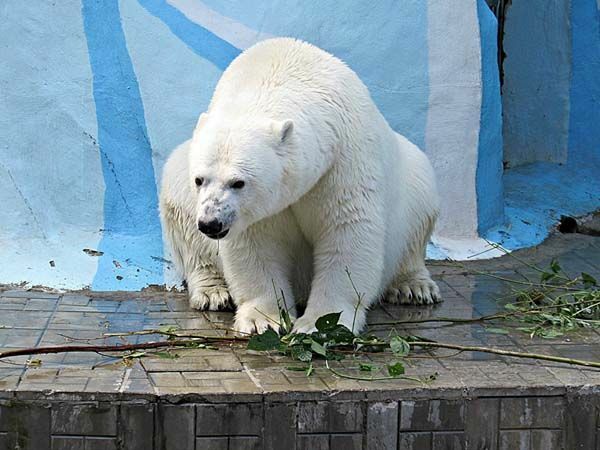 Knuti’s Weekly wishes Gerda, Kai, Rostik and all the keepers and visitors in Novosibirsk a pleasant August! 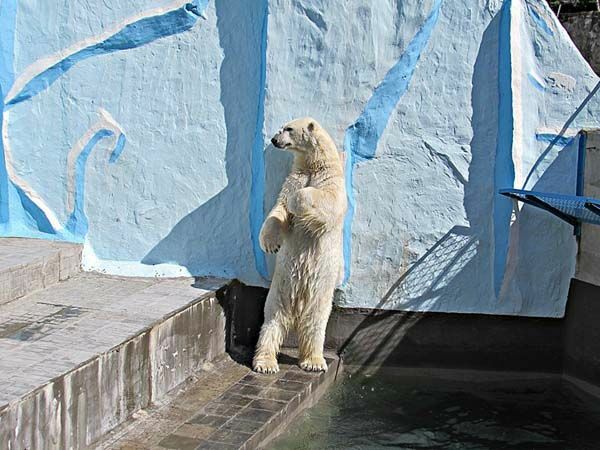 Despite the fact that the polar bears are big animals, they are so elegant and graceful! They can enjoy playing with the different things. Thanks for this nice report with these beautiful pictures! Mervi, thank you very much! These fabulous photos remind me of the first “gardener” beyond polar bears I´ve ever got to know. 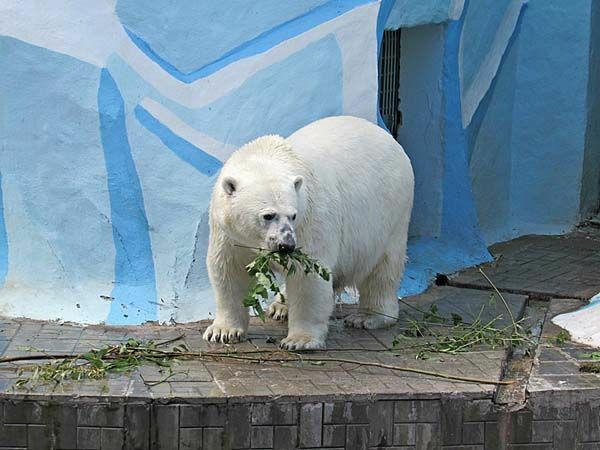 Our Knut loved gardening and all his efforts, the carrying of plants back and forth in his enclosure, had the effect that his place grew green by and by. 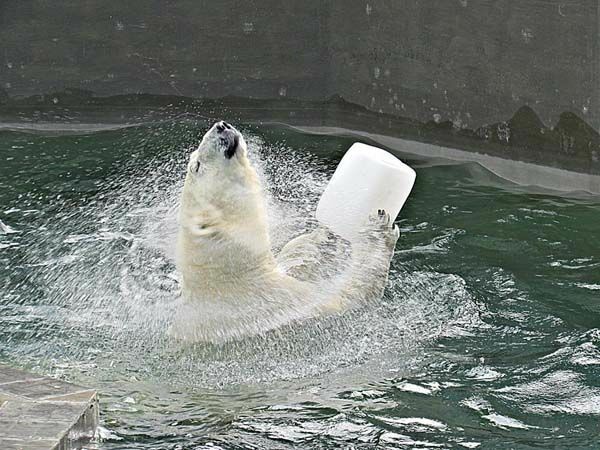 I´m afraid these effects won´t show in the enclosure of Gerda and Kai because it consist of concrete completely. But it is heartwarming to see Gerda playing with the branch and finally sleeping on it. 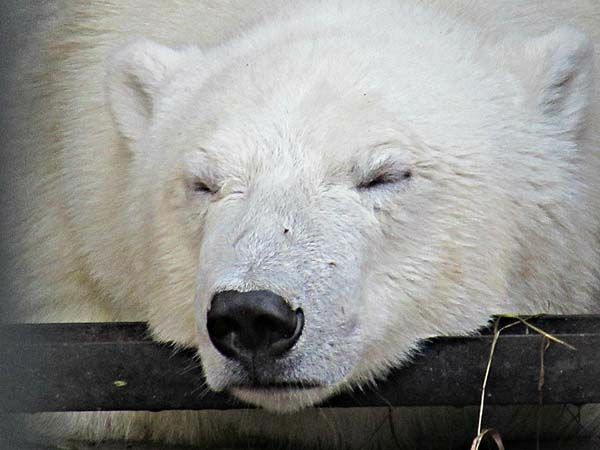 Kai is a goodlooking sweetheart for sure – whether active or asleep! Thank you for bringing us these impressions! Thank you for the nice photos from Novosibirsk. 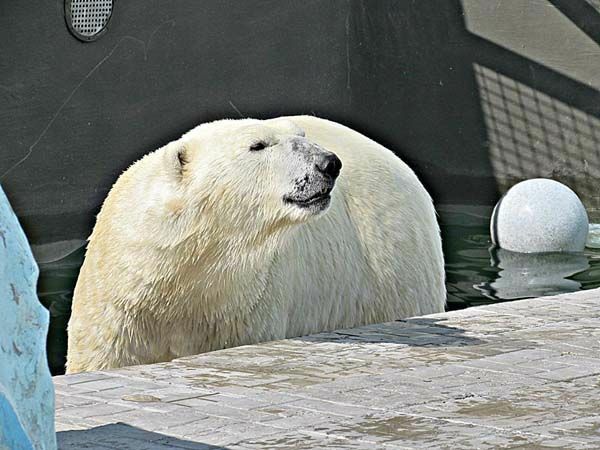 I think Gerda is one of the most beautiful bears in the world. It is so nice to see her enjoying a bit of nature. Thank you for the beautiful photos of this nice polar bear family. 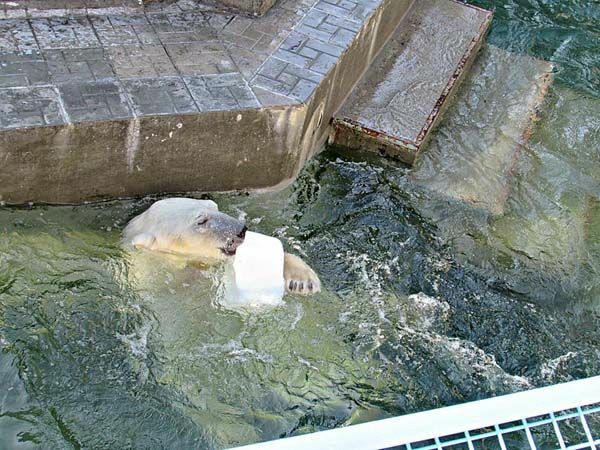 I´m sorry, I read over the information that actually the bear on the last two pics is Rostik. 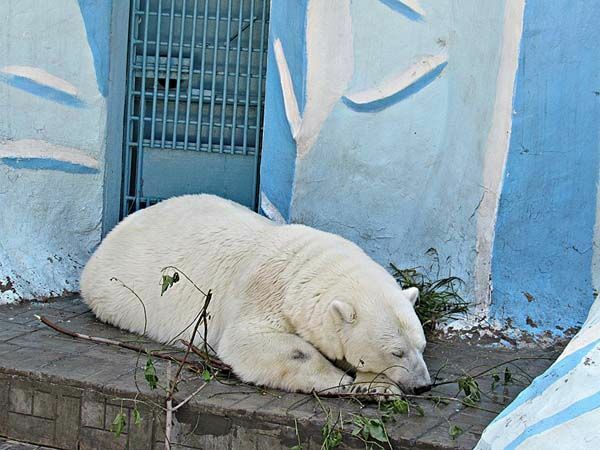 You brought us beautiful pictures of beautiful polar bears. Thank you very much. GERDA and KAI are a pretty couple – and ROSTIK is a handsome Youngster as well. Dear Mervi, you found again fitting and funny words as subtitles to the beautiful pics. Thanks for your part of this ‘KWM’-publication. 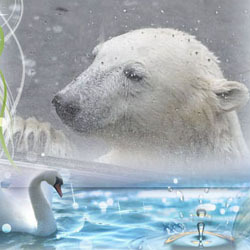 Forgot to mention your new cover-pic of KNUT in the water with ivy here in ‘KWM’. Again you found such a nice photo in you ‘catacombs’***. Do you know who was the photographer? What a funny Story ? Gardening ist a ver nice Hobby., also for the lovely Gerda. für Rostik wird es Zeit endlich in ein schönes großes Gehege zu kommen. 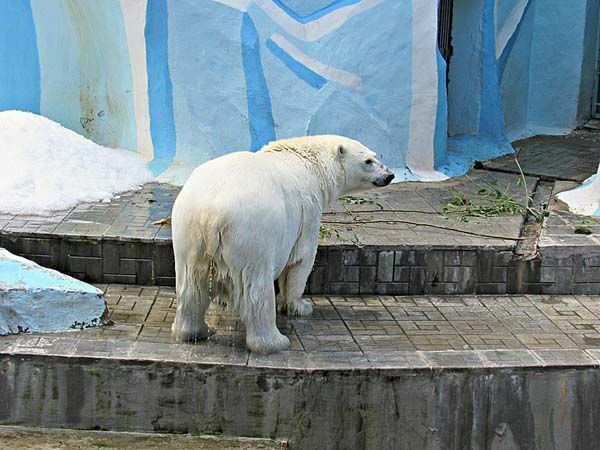 Leider können Zoo-Eisbären nicht ausgewildert werden und so warten viele Jungtiere auf einen neuen Zoo. Gerda ist eine bildhübsche Bärin und auch Kai ist schon sehr respektabel. Die beiden verstehen sich so gut und es macht Spaß die Bilder zu sehen. Grünzeug kennen sie nicht und vielleicht bekommen sie öfters einige Zweige und lernen damit umzugehen. Vielen Dank, schöne Eisbären und pefekt getextet. Gerda, Kai and Rostik are such lovely fluffy bears. It is good to see that they are enjoying themselves even in limited space. 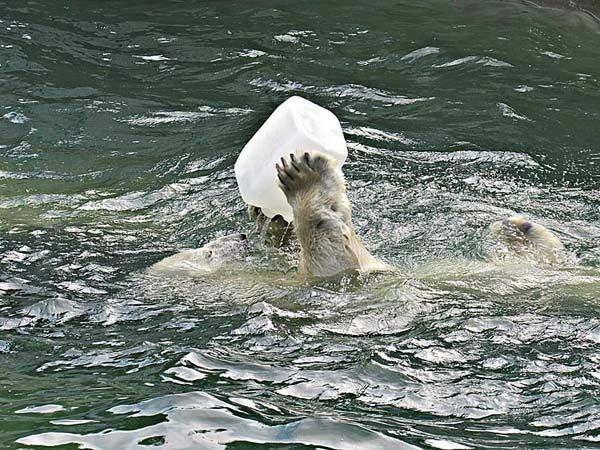 The keepers at Novosibirsk seem to know how to do what they can to make the Polars happy. Ja lieber Kai, wir Mädels lieben unseren Garten, aber deine Kunststücke sind auch tolll. Hoffentlich findet sich für Rostik bald ein schöner Zoo. Liebe Grüße nach Novosibirsk und Danke für die wunderbaren Bilder. Gerda, Kai and Rostik are looking very good I am glad Gerda can do gardening and Kai likes swimming and playing in the pool and little Rostik with his day dreaming is so sweet. 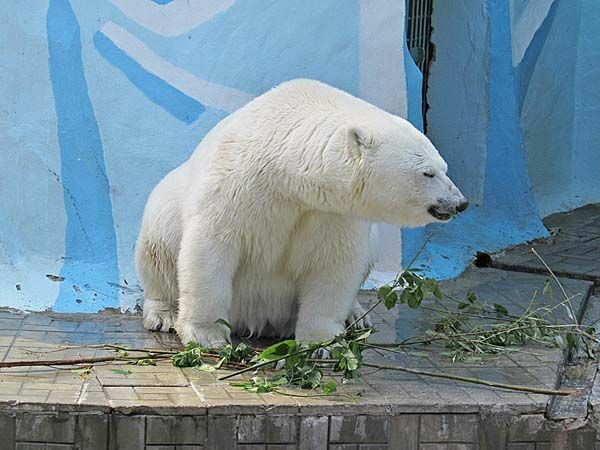 it is so nice that Anna takes these wonderful pictures of these lovely polar bears, it is great to watch the up dates from Novosibirsk. 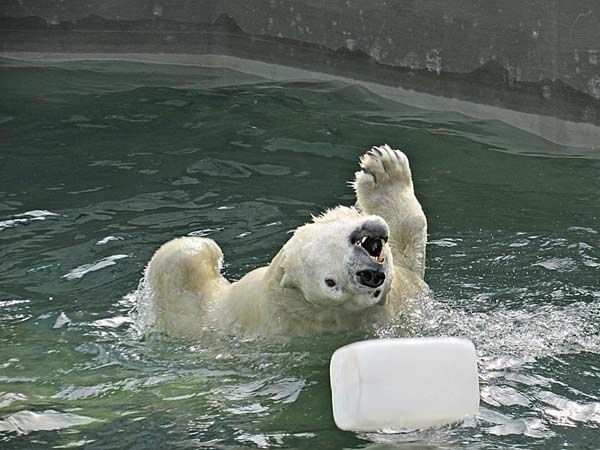 I send many good wishes to Gerda, Kai and Rostik and to their dear keepers. Log in | 54 queries. 0.823 seconds.